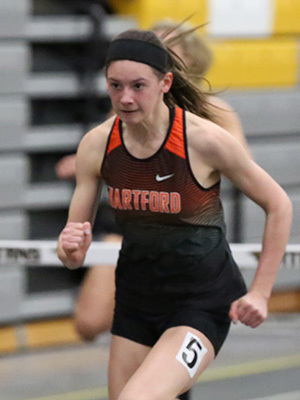 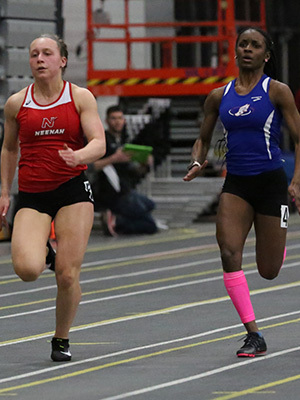 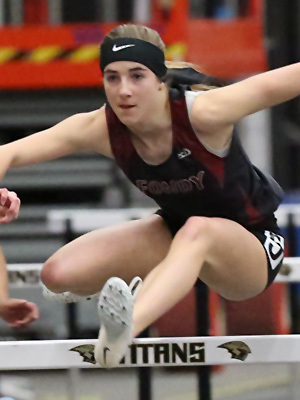 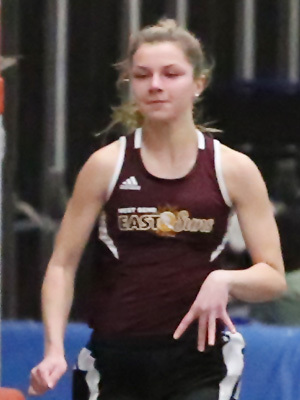 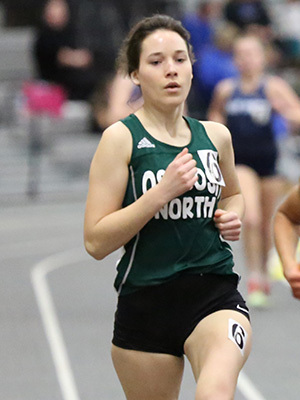 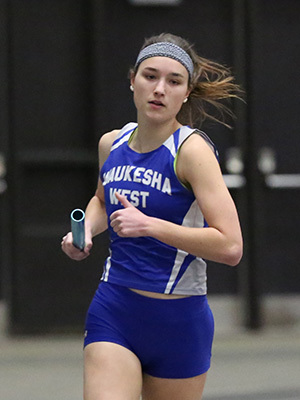 Head men and womens coach Justin Kinseth and the track and field team at UW-Oshkosh hosted the 42nd annual invitational. 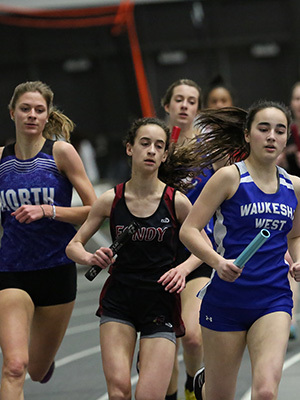 Appleton West, Ashwaubenon, Bay Port, De Pere, Fond du Lac, Green Bay Southwest, Hartford Union, Kaukauna, Neenah, Oak Creek, Oshkosh North, Oshkosh West, Plymouth School District, Waukesha North, Waukesha West, Waupaca, West Bend East Suns, and Wisconsin Lutheran competed at the Kolf Sports Center Field House on the campus of UW-Oshkosh. 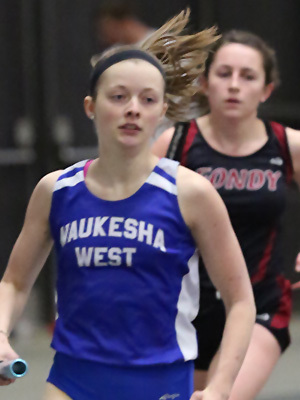 Waukesha West edged out Wisconsin Lutheran and Oak Creek 82-79-76 to win the 17 team meet. 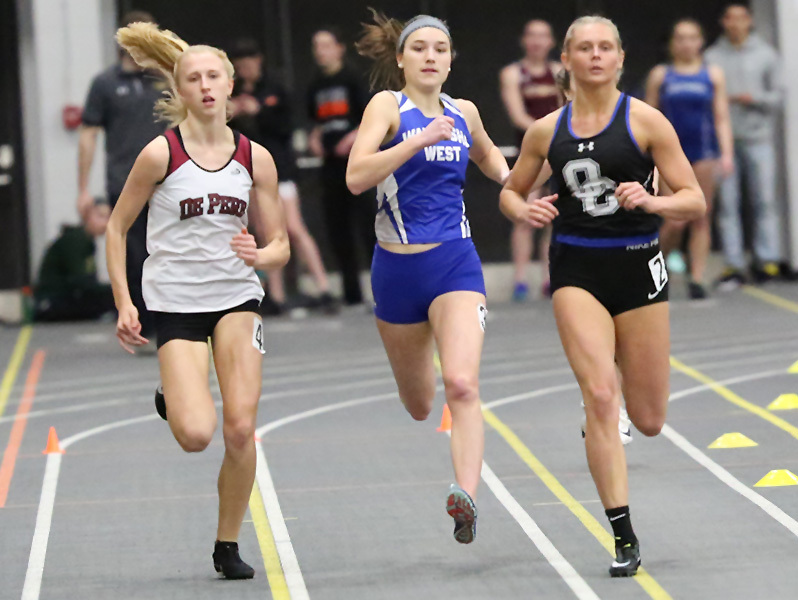 L-R: Jordan Meulemans [De Pere, 3rd], Brooke Studnicki [Waukesha West, 2nd], and winner Natalie Block [Oak Creek, 1:01.72]. 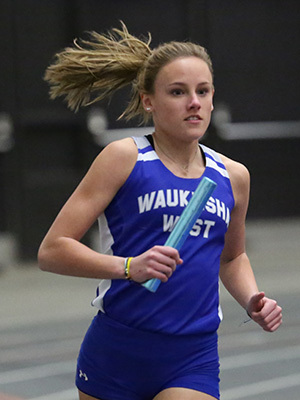 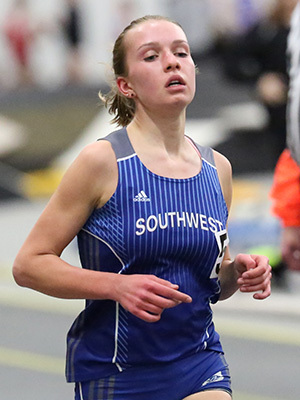 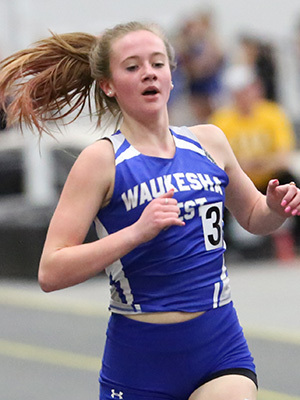 The Wolverines from Waukesha West cliumbed to the #2 D1 4x8 HR position by posting a 10:08.74 win at Oshksoh. 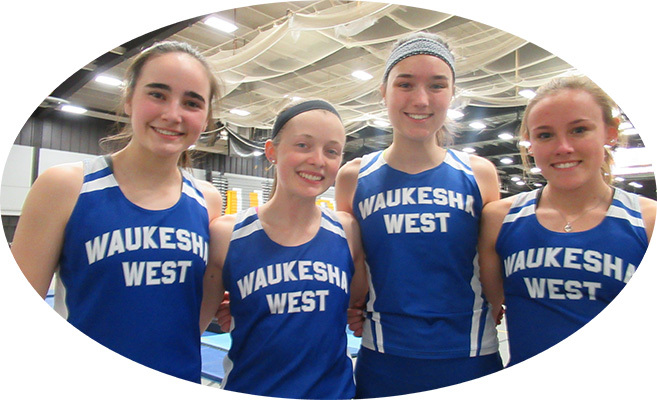 Runners L-R: Kylie Anderson, Allyssa Reeves, Brooke Studnicki, and anchor Brooke Lytle. 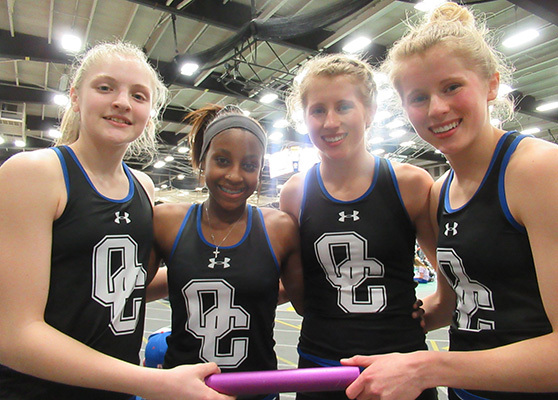 The Oak Creek 4x2 edged out Wisconsin Lutheran 1:48.00 to 1:48.49 to move to #2 on the HR D1 4x2 list with their time. 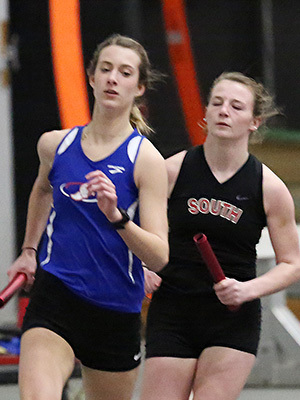 Runners above L-R: Rachel Blaskowski, Alaina Holt and sisters Katie and Maddie Gard. 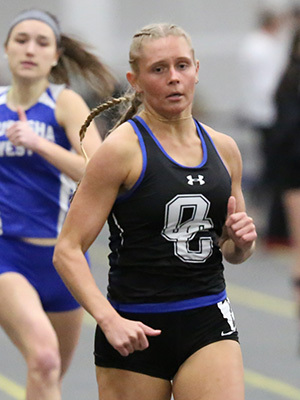 Maddie Gard was the anchor for Oak Creek. 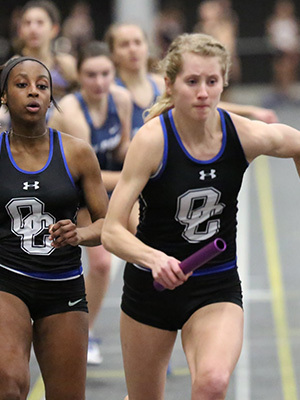 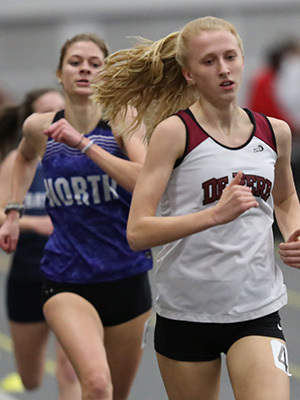 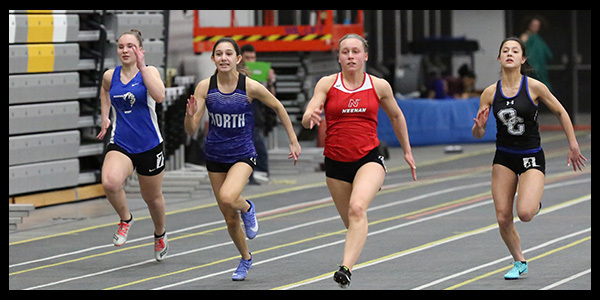 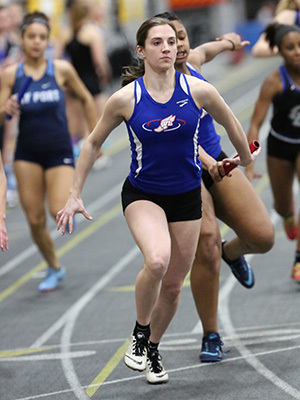 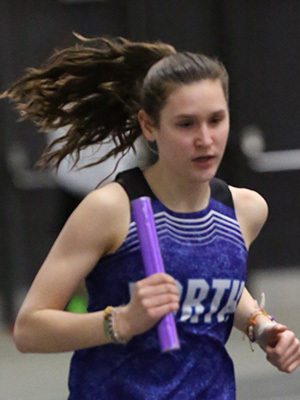 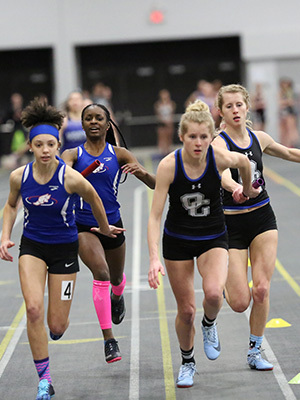 Jaiah Hopf Wisconsin Lutheran anchor and Maddie Gard from Oak Creek at the 4x2 finish. 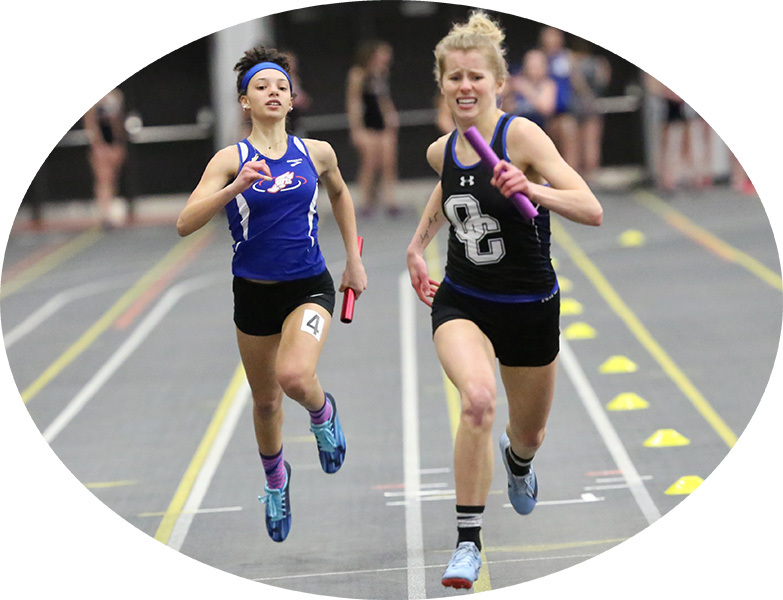 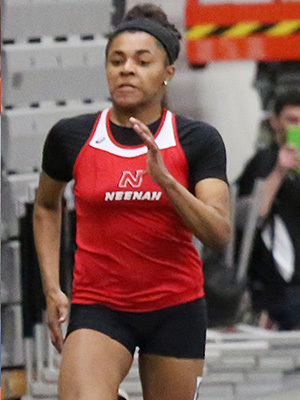 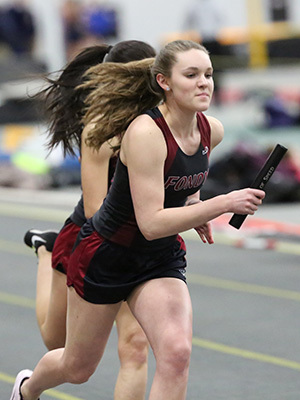 WISCO moved to #1 on the Monday, March 25 D2 Honor Roll list for the 4x200m relay event. 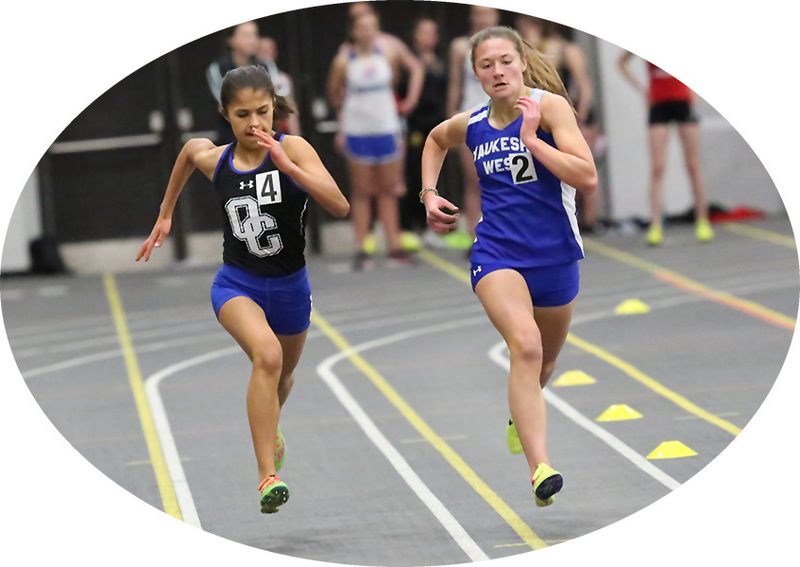 Oak Creek moved to #2 on the Monday, March 25th D1 4x200m HR list.